Impossible is a tried and tested workable effect that will stun your audience! (Especially if one of them asks you 'that' IMPOSSIBLE question!) "Can we shuffle the cards? Can we just cut to and look at a card? Can YOU find that card?" 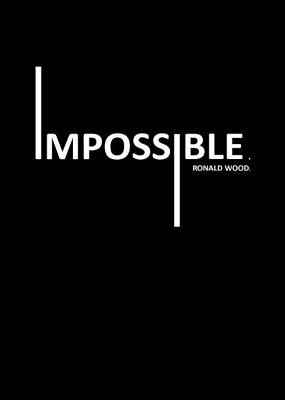 Ronald Wood presents Impossible . A card effect that shows your audience nothing is IMPOSSIBLE. 1st edition 2014, 11 pages.